With record sales riding the wave of five straight years of double-digit growth, it’s no wonder that independent record stores across the world get excited about Record Store Day which took place on Saturday, April 20th, 2013. The annual event celebrated its 6th birthday this weekend, and what started as an attempt to revive interest in small independent record shops has become big business for labels, artists, and independent shops alike. The original Record Store Day launched with the help of Metallica, who, at the time, were still fuming over the issue of digital piracy. Since then, the list of supporters has grown to include some of the biggest names in music including Mumford and Sons, Paul McCartney, and Aerosmith. “There’s nothing as glamorous to me as a record store. When I recently played at Amoeba in L.A., I realized what fantastic memories such a collection of music brings back when you see it all in one place. This is why I’m more than happy to support Record Store Day and I hope that these kinds of stores will be there for us all for many years to come,” remarked McCartney when asked why he was such an ardent supporter. Bolstered by strong sales of new releases, Record Store Day has become incredibly important for independent retailers looking to cash in on the renewed interest in the format and the exclusivity of specific albums which are available in very limited quantities. In some cases, only 1,000-2,000 pressings are being made available to hundreds of stores. This generates a sense of urgency, prompting collectors to arrive at stores early with no guarantee that what they’re looking for will be in stock. Record Store Day has published an official list of releases on its website which includes great new pressings from David Bowie, Ani DiFranco, Brian Eno, the Flaming Lips, and even reissues of some classic albums from the Cure, Rolling Stones, Cream, Miles Davis, and Aerosmith. Just how important is Record Store Day to retailers? “I started working in a record store in 1972 and my life changed. I also discovered that we had the ability to change our customer’s lives each and every time they came in the door. Turning someone on to something they had not ever heard before that hits a nerve can make someone’s day and leave a permanent impression. It is super important for music fans to support their local record stores regularly, not only to help record stores stay in business, but for their own well-being. Record Store Day is a great day to come out and celebrate what record stores have been to our lives…to celebrate vinyl, the single greatest invention ever,” responded Terry Currier of Music Millennium in Portland, OR. Update: The early morning crowds at our local used record stores in Asbury Park, New Jersey, were quite large with twenty-minute waits at the cash register. If you’re hoping to pick up one of the exclusive RSD 7-inch or 10-inch singles, you may be out of luck already because both of the east coast stores we visited had limited copies of each pressing. 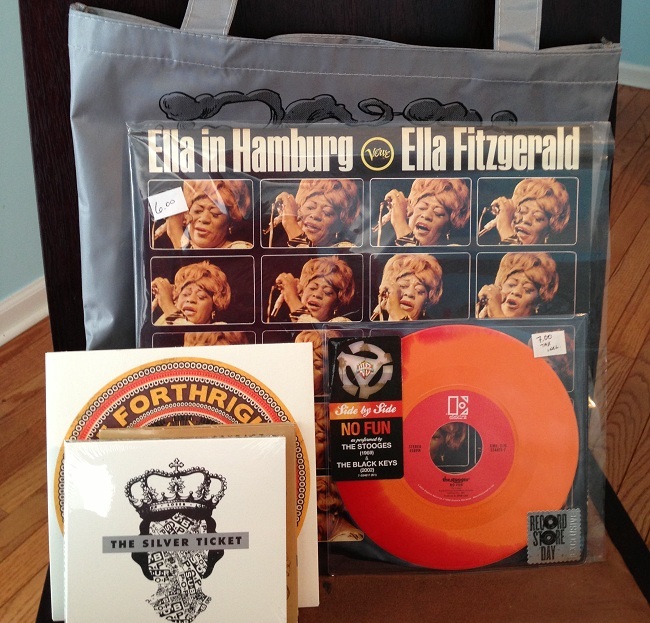 We count ourselves lucky to get our hands on the very limited pressing of “No Fun” by the Stooges and the Black Keys. 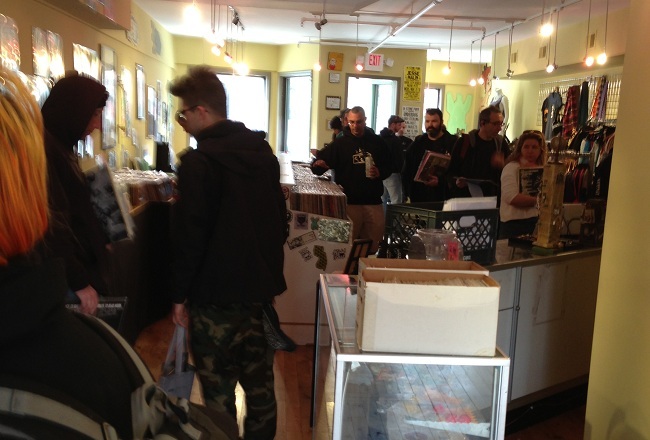 Record Store Day 2013 looks like it may have been the biggest one yet. We encourage you to support your local independent record store regardless of where you live.